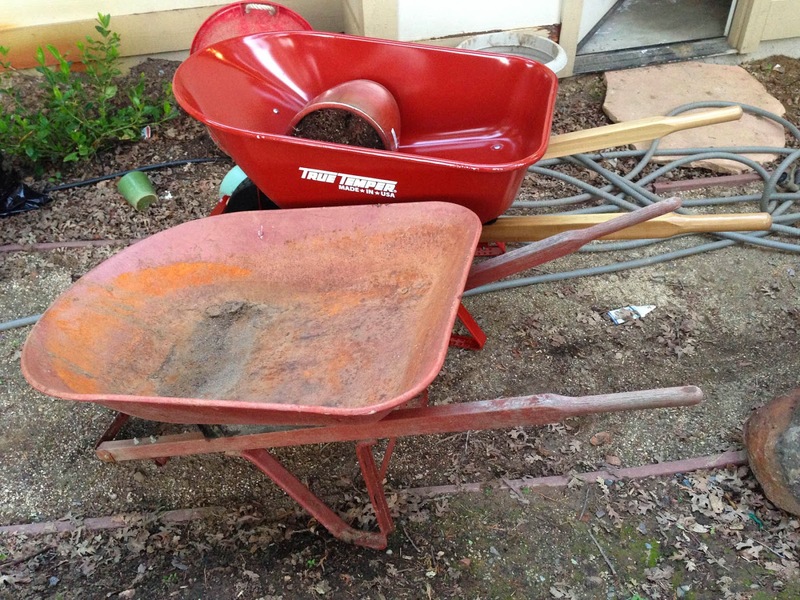 We picked up this wheelbarrow at Costco for $20 less than the local home improvement stores. Woot. Sometimes, it's the little things in life. Sometimes it's big steel buckets. Today's happy, happy, joy, joy moment? The acquisition of a shiny new wheelbarrow. The old model will soon become a planter. I've been in the market for a couple years actually, having worn out one beast and straight up breaking another. Since I'm planning to lay down a few (okay, 15) yards of bark in the next couple weeks, I'm jazzed to have a strong and stable tool. And lest you mock my joy over this mundane garden toy, I'm apparently not alone in my love for yard improvement junk. My Facebook feed has been full of "Woot! Look at my new leaf blower!" photos. And yes, that makes me feel old, but what can you do? It's not too late to start your veggie garden!